To help medical students and professionals to better understand health issues, diseases and case studies, Healthtime Pro launched its first part of ‘Pathology Guide’. The book, written in Khmer language, was released on Saturday in the presence of doctors, medical professors and students from different universities. 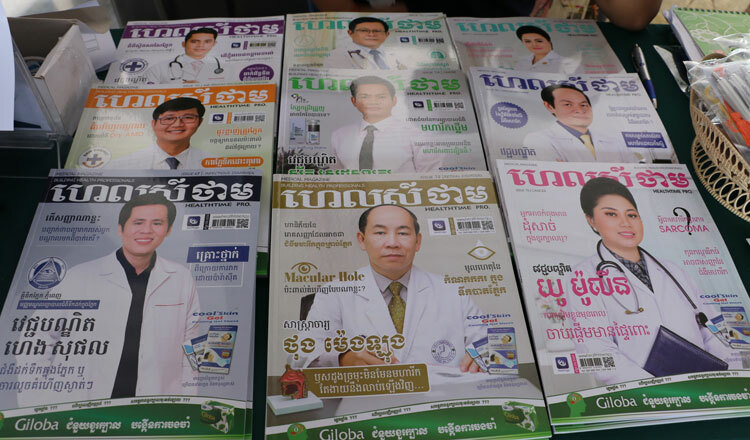 Saing Darareaksmey, executive director of Healthtime Pro, explained that it has been the health magazine’s long dream to publish a book that will aid Khmer medical students. “In the last four years, our team wanted to produce an educational resource for medical students because we know that Khmer medical books are not available. It is good that they can read and understand medical books written in other languages, but we also have to know that the context and type of diseases are different in other countries. So, our team thought that it would be really helpful if we can get doctors to share their experiences and cases to students through this book,” said Mr Reaksmey. He revealed that publishing the book didn’t come easy for Healthtime Pro. Hundreds of doctors were interviewed to get factual details on specific diseases and health issues in the Kingdom. However, the doctors were not always available to sit down with the team and discuss thoroughly. It took the team six months to complete the book. “With the generous support of doctors, the book is able to address over a hundred diseases divided under 13 categories. It tells readers the definition, symptoms, primary treatment, prevention as well as case studies,” said Mr Reaksmey, noting that the book uses comprehensible words so the general public can easily grasp the context. 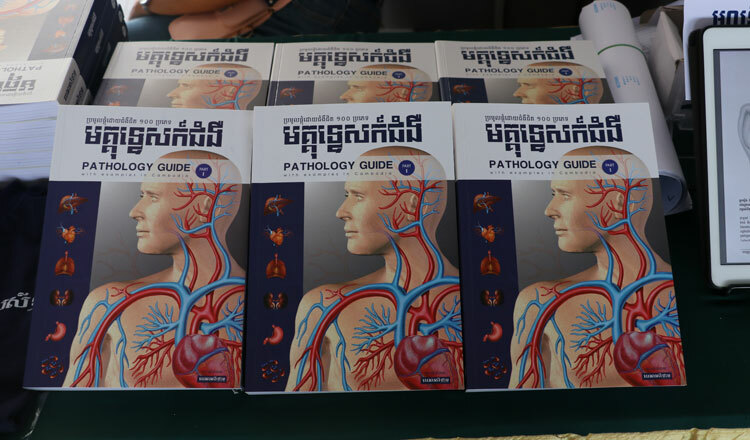 With the new ‘Pathology Guide’ and all the other printed and digital write-ups on health, Mr Reaskmey expects to see an increasing number of Cambodians who have deeper knowledge on diseases and their prevention. He also has high hopes that many young Cambodians will be engrossed to study medicine and help uplift the country’s health sector. The launching event also allowed the audience to share their views and ask questions. Savin Soveth, fifth year student of University of Health and Sciences, expressed his support to Healthtime Pro’s initiative in producing articles that do not only benefit medical students but the public in general. 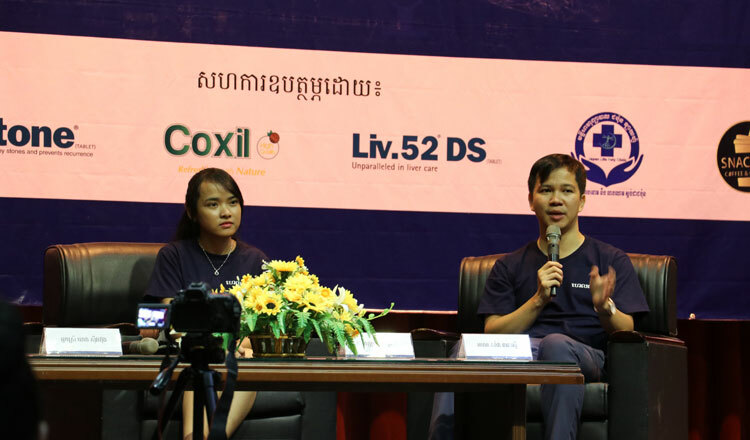 As a medical student himself, Soveth acknowledges the great need to have a medical reading materials written in Khmer for better and faster learning. Healthtime Pro is a health-focused company that provides health education to public and health practitioners through research, magazine and website. The company has three platforms which enable people to perceive health education through Healthogo App, website (www.healthtime.tips) as well as monthly publication on magazine. Every issue comes in different themes as such pathology, case study, patient education, pharmacy and healthcare industry. Healthtime Pro also provides training and health related programmes that center on Healthcare Career Development, Healthcare Business Management and Mentality for Health Practitioners. Khmer Medical Dictionary is a free app.